Dirinda also designs beautiful, high quality surgical grade stainless steel post earrings in addition to her medical grade titanium earrings. 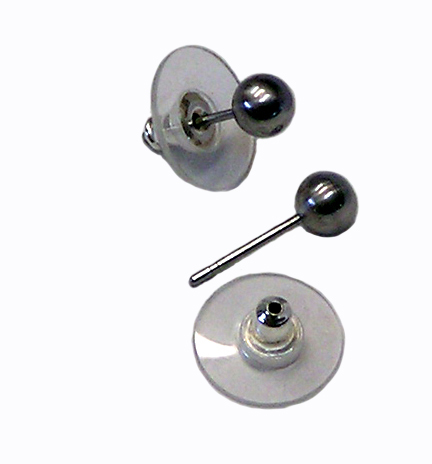 These earrings are made in USA with medical grade stainless steel. Dirinda checks the composition of the metals to insure that her earrings are of the highest quality. These earrings have a 5mm diameter ball post with soft hypoallergenic plastic backed comfort clutch. Post diameter is 0.039" (1.0mm).